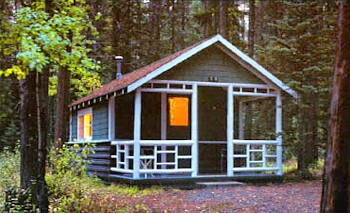 At Johnston Canyon Resort, just east of Field, you can enjoy the conveniences of home in our handsomely elegant Banff chalets and cabins. Each cabin offers unique characteristics, and tells a tale of its history, some dating back to 1926. 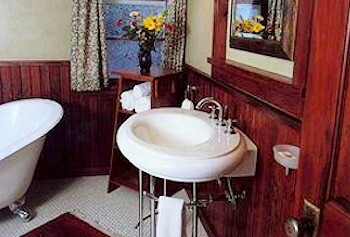 Just a few of the unique design elements of these chalets and cabins range from mosaic floors and rock fireplaces to pedestal sinks and clawfoot tubs to hand painted photos. an ideal backdrop for sightseeing, walking, hiking, photography, backpacking or other outdoor activities in the Banff, Lake Louise, and Rocky Mountain region. Most of our Banff / Lake Louise cabins at Johnston Canyon Resort are wheelchair accessible and offer a quaint veranda that leads to your own piece of paradise in the Canadian Rockies. Resort amenities include a coffee shop, licensed dining room, gift shop, outdoor patio, barbecue area and tennis court. 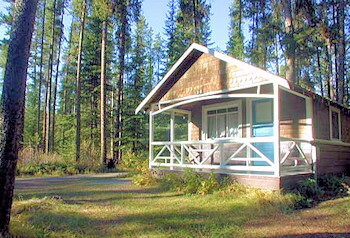 Johnston Canyon Resort offers all the best of Canadian Rockies chalets - but takes you away from the hustle and bustle of the hot tourist zones. 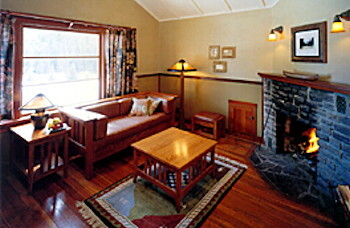 Relax and enjoy our comfortable cabins, remote tranquil setting, and warm Canadian hospitality. Our quaint log cabins are tastefully decorated with wooden / leather Mission-style furniture and heritage colors. We offer all the comforts of modern lodging with cozy down duvets, VCRs, movie rentals, along with the serenity of the wooded wilderness. With a variety of building styles and sizes, you are sure to find a cabin that suits your needs. The main lodge is also geared to making your stay as pleasant as possible with a coffee shop, licensed dinning room, gift shop and outdoor patio. Our site also includes a barbecue area for your enjoyment, as well as a tennis court. Our mountain setting is a natural haven for a relaxing getaway, an exhilarating adventure or a family retreat. With endless possibilities for Rocky Mountain vacation ideas. 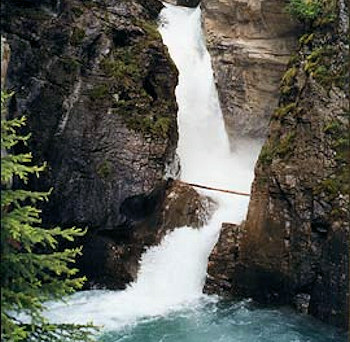 The lower falls at Johnston Canyon are arguably the most famous in Banff National Park. The rushing water of the creek and the interesting rock formations along the recently upgraded hiking trail offer an exhilarating experience for the avid hiker or relaxing ambiance for a leisurely stroll. 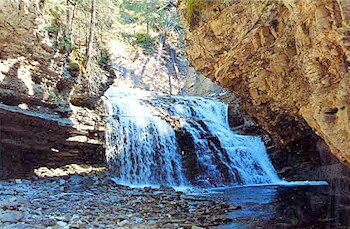 Then venture on to the breath-taking Upper Falls or the natural mineral springs at the Ink Pots. The beauty, serenity and splendour of this wilderness retreat at Johnston Canyon Resort continues to inspire many photographers, nature lovers, birdwatchers and sightseers. If you have ever experienced the magic and tranquility of a Rocky Mountain vacation, you know that nothing beckons like a morning chorus of sweet songs. and in the distance and all around you'll be comforted and overwhelmed by the power of ice-capped jagged peaks. Whether you are planning a family vacation, a romantic getaway, or a weekend adventure with friends, Johnston Canyon Resort on the Alberta side of the Rocky Mountains, just east of Field, is the perfect destination. Johnston Canyon Resort is where you need to be!